About — broadcasting on no lies radio! Pamela Senzee is an artist, author, adventurer, and has been a peace, social justice and truth activist for nearly a decade. She has spoken at a number of events, ranging from Arizona State University’s yearly Global to Local Teach In and the Human Rights Day March in Phoenix, AZ to speaking at the National Mall in Washington DC during the 2013 March Against Drones. She served as a volunteer coordinator for the 9/11 Accountability Conference in Chandler, AZ in 2007. She has participated in numerous peace, social justice and truth street actions and has appeared on Arizona’s News Channel 3 as well as been a guest on over 25 radio shows around the world. In 2012 she crossed the United States by bicycle along with fellow peace activist Rena Patty. They embarked on this journey on behalf of the organization Architects and Engineers for 9/11 Truth, passing out DVDs of the film 9/11: Explosive Evidence – Experts Speak Out to fire chiefs, police chiefs, academics, students and just about anyone they met along the way. She has served as Action Groups Team coordinator for Architects & Engineers for 9/11 Truth and campaign coordinator for the ReThink911 global campaign. 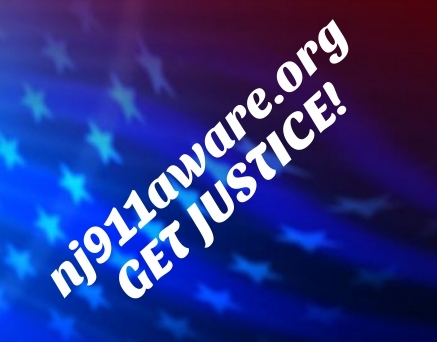 She currently serves as grassroots and PR coordinator for New Jersey 9/11 Aware, NJ911Aware.org, a nonprofit organization dedicated to the creation of a new investigation into 9/11 based upon the New Jersey nexus of jurisdiction. She is the author of Quantum Trek – a post-9/11 journey of transformation available on Amazon.com, other bookstores and, here at Satyagraha 9/11 – Peace is a State of Action – Pam’s blog, art gallery, and podcast dedicated to peaceful solutions in a post-9/11 world. To contact Pamela Senzee in regards to this website, appearances, talks, or comments, email rethink911pam@gmail.com.